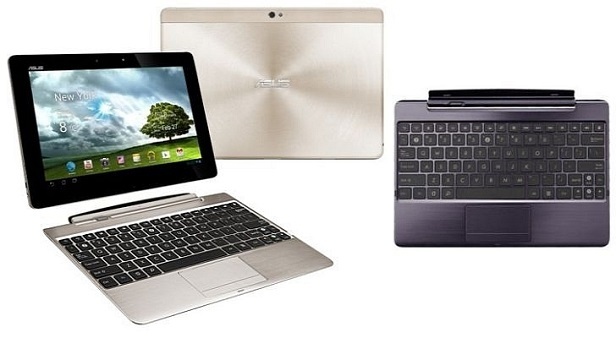 In this guide we will show how to hard reset the Asus Transformer Prime TF700T, a newer variant of the Eee Pad Transformer Prime tablet, whose major upgrade is a move to a 1920 x 1200 resolution. Launched by Asus in July 2012, under the cover of this device we have a quad-core processor with 1.6 GHz Cortex-A9 and a Nvidia Tegra 3 T33 graphic chipset. The mobile dock offers a full QWERTY keyboard and touchpad alongside, with a USB port, while extending the battery life to an incredible 14 hours for all day computing. Now, returning to our hard reset procedure, we just wanted to clear thing out by explaining how this process is actually going to modify the Transformer Prime. In a few words, this will basically restore the slate to a factory state, by completely erasing all applications, photos, videos and music, stored on the internal memory. Besides these, all phonebook entries (contacts) and messages will be deleted. Considering the fact that restoring to factory settings will wipe the entire phone clean, this is a process that should be good It would be good in a few months after you’ve downloaded and installed programs that you no longer use or, the tablet began to respond slowly to commands. It can basically refresh your phone. On the other hand, this is also great for when you want to sell the tablet and you don’t want your previous information to fall into the hands of someone else. Now, before you start, make sure that the TF700T has over 70% battery life and that you back-up all crucial data. There are two methods of performing this job. The first one makes use of a special reset button found on the Asus tablet and it’s pretty straightforward to complete. Use this especially when the Transformer Prime has stopped responding and cannot load the operating system. Grab yourself a paperclip or a needle. In the left side of the tablet is a reset hole, insert the paperclip or the needle and hold it there a couple of seconds until it restarts. The secondary method is a bit more complicated and requires simultaneously pressing keys so be careful. From the recovery screen, use the volume up key to reach Wipe User Data and to make the selection press the volume down key. Wait for your tablet to reset. Thanks. I was having issues with my tablet. A tf-700 from Asus, It was in an update loop I think, Well I used a paper clip and hit the reset button and that did the trick. Thanks! For some reason, neither of these methods worked for me. I have an old Asus tablet, model Transformer Infinity TF700T, which I’d lent to someone else for a while, and was taking back into my own use. I tried pressing the reset button with a paperclip, both when the tablet was on and it was off, and nothing happened. I also tried the method with the power key and the volume keys. I was able to get to the phase where the display showed me three options, the last of which was to erase all data, but pressing the volume up key did not move the selection, but instead confirmed the default selection, which was seemingly to boot the pad normally. I was finally able to reset the data by going to the Settings application, selecting “Backup & reset”, and then doing the reset from there, without backing up (the former user’s) data.